The expression 'an embarrassment of riches' which apparently originated in the 18th century might be used to describe the forthcoming dates by Gordy, Somers & Walsh though it might be more appropriate to go for a contemporary expression such as 'an opportunity not to be missed'. Gordy, Somers & Walsh will be bringing their particular blend of Bluegrass, Americana, Folk & Jazz to dates in the UK, Netherlands, Switzerland and Germany. Grant Gordy (acoustic guitar) - based in Brooklyn, NY, Grant has spent many hours learning the language of bebop and the standards of jazz, soaking up the high lonesome sound of bluegrass, investigating classical composers like Béla Bartók and Bach and learning the rhythms of Mali alongside African musicians. This wide range contributes to Gordy’s unique and renowned guitar style. 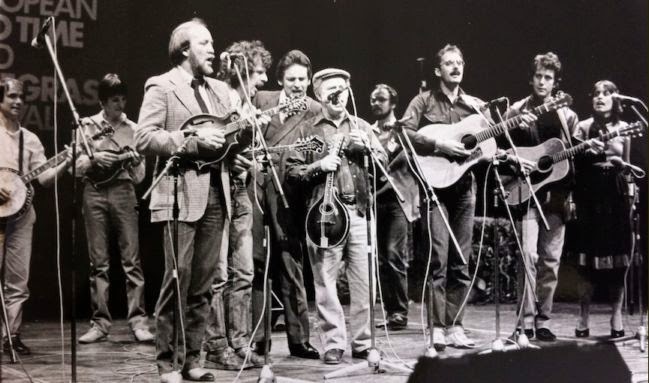 He spent six years in the David Grisman Quintet, filling the big shoes of Tony Rice, Mark O’Connor and other legendary musicians. Ben Somers (double bass/vocals/sax) grew up surrounded by music and playing gigs with his father, professional country musician Steve Somers. Ben began playing the sax at 16 and studied jazz at Middlesex University. 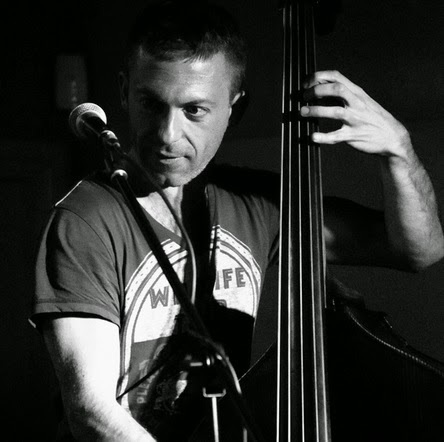 Whilst there, he acquired a double bass and immersed himself in bluegrass and folk. In addition to his day job as a busy, in-demand session musician in London, Ben has toured and recorded with many artists including Dr John, Seal, Bruce Molsky and Dirk Powell. Joe K Walsh (mandolin/vocals) - hailing from Portland, Maine, the “other” Joe Walsh is known for his exceptional tone and taste. Named by CBC as “one of the best mandolinists of his generation”, after a number of years with bluegrass supergroup the Gibson Brothers Joe currently splits his time between the group Mr Sun and a trio with Brittany Haas and Owen Marshall. As well as teaching regularly at music camps across America, he’s also a mandolin instructor at the Berklee College of Music. 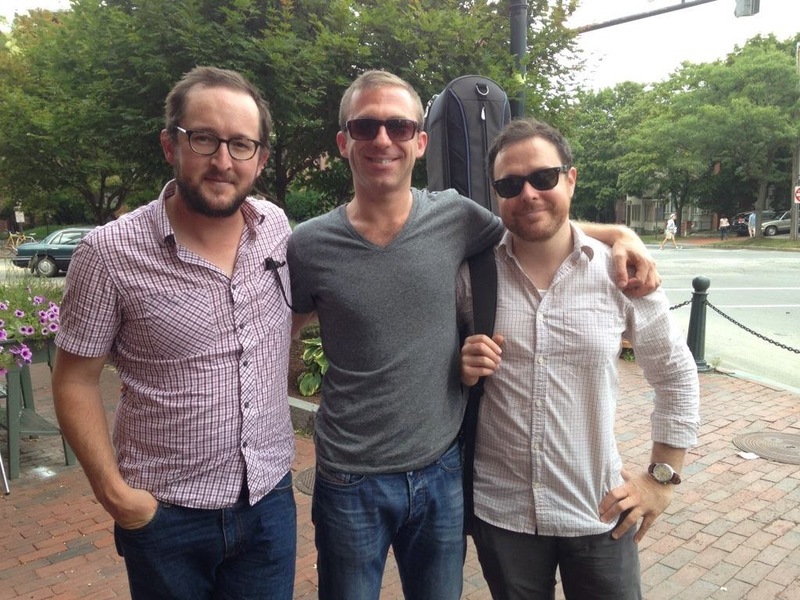 Grant and Joe are one half of Mr Sun with Darol Anger and Ethan Jodziewicz forming the other half. At time of writing, there is a possibility of an additional date at the beginning of June - Please check Ben Somers' website for updates or additional dates. Music is by bands who performed at the festival and photos are by Emmanuel Marin, Nathalie Mugnier and Odile Glaine (unless otherwise stated). Have you ever sat around with friends and had the conversation turn to 'You know what we should do....?' Well, that's what happened to a group of very determined friends who turned that 'pipedream' into a reality by creating the Moniaive Michaelmas Bluegrass Festival. Moniaive Michaelmas Bluegrass Festival is Scotland's only Bluegrass festival but, in addition to the festival, these dedicated North-of-the-Border Bluegrass folks also have a Summer Bluegrass Instruments Workshops day on June 13th which will have members of Cup O'Joe teaching. Cup O'Joe will also be playing a concert at the nearby Craigdarroch Arms Hotel. More information can be seen on the Festival's Calendar page and a message of the Festival's Facebook page reports that there are still some places available for the workshops. Moniaive is in the Southern Uplands of Scotland about 70 miles south of Glasgow or about 50 miles north of Carlisle, so in easy reach for English Bluegrass fans! Tickets are now on sale online here! 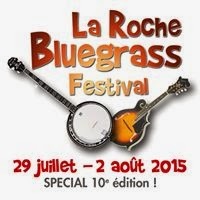 So if you are in the region or planning on visiting the region, there is Bluegrass to be found in Moniaive*. In Kusterdingen, a small town between the university towns of Tuebingen and Reutlingen, about 40 km south of Stuttgart, a new small venue is about to open. Kusterdingen? Have I heard the name before? Chances are that you have, seeing as the annual “Bluegrass im Klosterhof” mini festival is held there on the second Saturday in January. While the “Klosterhof” is a fantastic venue (packing an audience of 200), its major drawback is that it’s a costly venue for regular concerts. 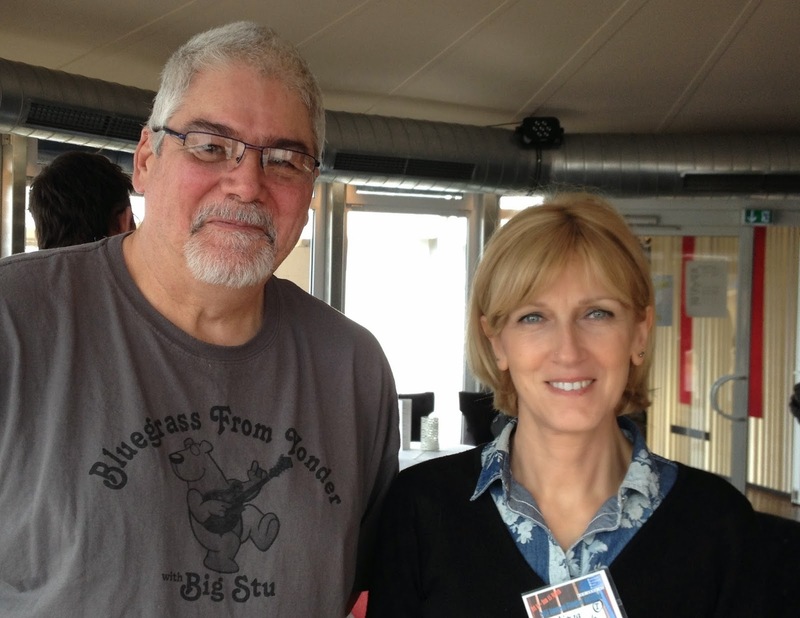 Dieter Stoll of Horse Mountain said "[Bluegrass im Klosterhof gets] it free of charge once a year, and that’s that. Rental fee is prohibitive for occasional shows by traveling bands." But now there’s another option, which is just as charming. 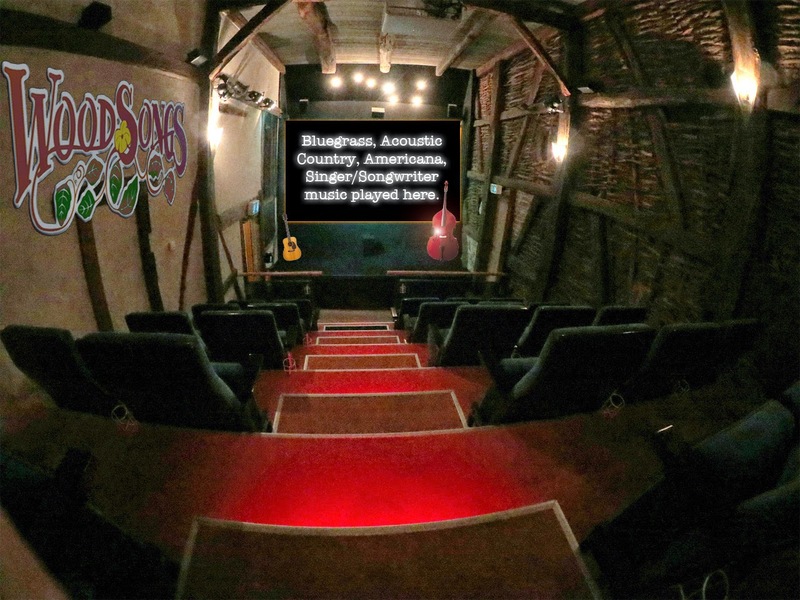 For the past ten years, tucked away in a vintage barn (built in 1773), Horse Mountain and a couple of friends have been running a small cinema theater named “METROPOL” which is intentionally rather tongue-in-cheek for a rural barn seating only 32! While there is one weekly show every Thursday from October through April,the rest of the time there is not much going on there. This should (and will) change! On Monday, April 20 (8pm, doors open 7:30) the John Lowell Band will premiere the place. A message of the John Lowell Band's Facebook page reports that tickets are selling quickly so don't miss the opportunity. If you (as a band or an individual artist) think that this venue could be of interest to you contact Dieter Stoll of Horse Mountain. and he will take it from there. We are, by the way, an official affiliate of Michael Jonathon’s Woodsongs family. 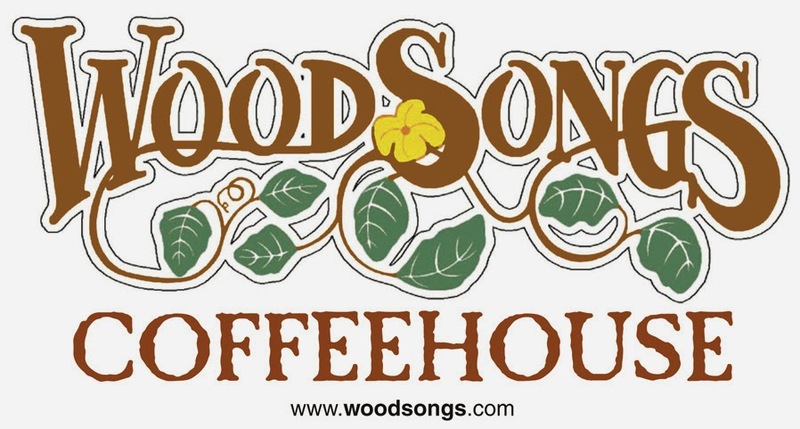 Did you know that Woodsongs not only entails the weekly show at Lyric Theater in Lexington KY, but also a network of Woodsongs Coffeehouses? Well, now you know, and we are one of them. Come see us sometime! Once again, for more information, contact Dieter Stoll of Horse Mountain. 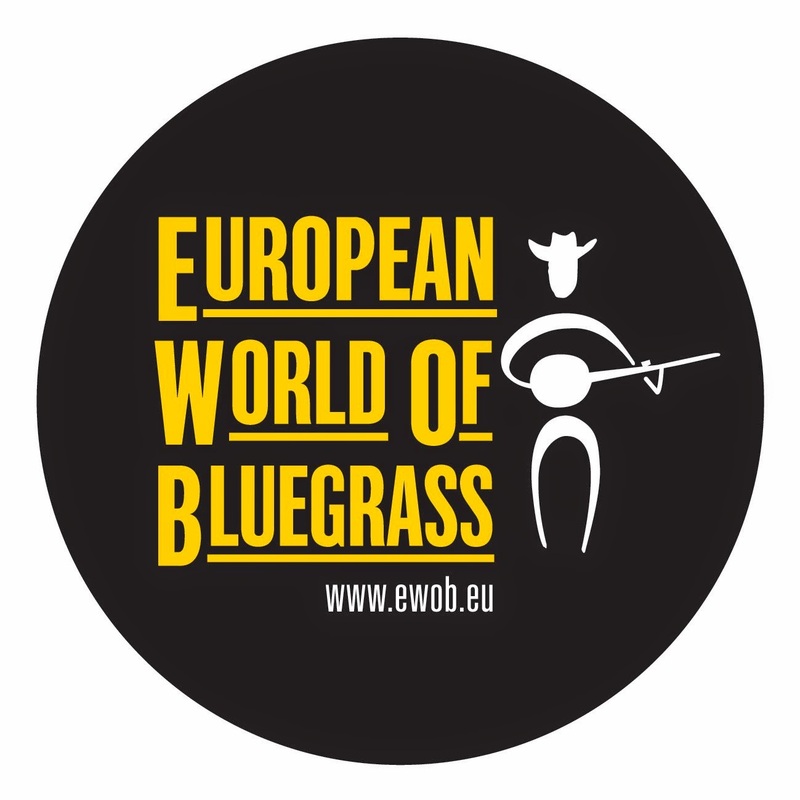 EWOB (European World of Bluegrass Festival) - it is just around the corner! Taking place in Voorthuizen in The Netherlands on May 14, 15 & 16, EWOB is just around the corner. 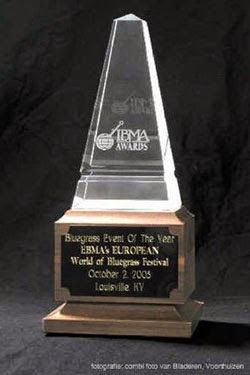 Did you know that EWOB was the first event in Europe to win the Bluegrass Event of the Year Award at IBMA? As EWOB says on its Facebook page: "We come from many different countries, but we speak one common language: BLUEGRASS! Maybe world peace can start with a banjo intro." Just a quick glance at the lineup there is last year's '#1 European Bluegrass Band' winners - Dunderhead from Sweden, the impressive Kentucky Cow Tippers from the UK, Cup O'Joe from Northern Ireland (the only non-US band to be invited to play on the Youth Stage at IBMA 2014), G-Runs 'n Roses from the Czech Republic and Jeff Scroggins & Colorado from the USA. (The full lineup, schedule and other information can be found on the EWOB website). The headline act will be Jeff Scroggins & Colorado from the USA: Jeff Scroggins and Colorado is a high energy, high mountain “bluegrass explosion,” that features the fiery banjo playing of Jeff Scroggins, the award winning mandolin playing of Jeff’s son, Tristan, and incredible bluegrass vocals led by the powerful voice of front man Greg Blake. Greg has twice been nominated for SPBGMA’s “Traditional Male Vocalist of the Year” award and his phenomenal bluegrass guitar playing has earned him 9 nominations and an amazing 5 consecutive wins as SPBGMA’s Guitarist of the Year! Good luck to all of the bands who will be taking part in the band competitions, safe travels to everyone attending EWOB and best wishes the the hard-working organisers and volunteers for this premier Bluegrass event in Europe. EBMA Blog Team: pouvez-vous aider? kun je helpen? können Sie helfen? kan du hjälpa ? The EBMA Bluegrass Gathering at the Munich Bluegrass Festival gave the opportunity for two of the dedicated, tireless and immensely talented EBMA Blog Team to sit down together and come up with wonderful ideas! OK, now that we have your attention.. we have a simple question: Can you help? or should that be pouvez-vous aider? kun je helpen? können Sie helfen? kan du hjälpa? As I found in Munich (and much to my embarrassment) my German language skills are very poor and my Italian and French are best not mentioned at all. I would imagine that there are other Bluegrass fans across Europe who, like me, are not multi-lingual yet the EBMA Blog articles are all published in English. This is where the 'pouvez-vous aider? kun je helpen? können Sie helfen? kan du hjälpa?' comes in. We would like to hear from anyone that would like to join the EBMA Blog Team and help us to enable our articles to reach (and be easily read by) as many Bluegrass fans as possible. While I asked (hopefully correctly) in French, Dutch, German and Swedish that is not a definitive list so if you are from Spain or the Czech Republic... puede ayudar? or můžete pomoci? To start, we would like to see articles translated from English into another European language but if you would like to write articles about Bluegrass in your part of Europe then we would be happy to talk about that too and help you. If you are interested, then send an email to the Blog Team and one of us will write back to you and tell you more. Cultural scholar Loes van Schaijk and photographer Marieke Odekerken are two young female Dutch debutants who are about to release a unique book revolving around the niche culture of bluegrass music in the Netherlands. Over a time period of six months they traveled to all corners of the country, and across the borders with Belgium and Germany, to visit all kinds of people who have been captivated by bluegrass music’s characteristics: the combination of acoustic string instruments, the dazzling tempo and hard driving rhythms, the virtuoso solo breaks and improvisation, the catchy vocal harmonies and the unique “high lonesome” sound of the lead vocals. Marieke photographed and Loes spoke to musicians, bookers and luthiers; amateurs and professionals; pioneers and rookies; wallflowers, hillbillies, and hardrockers; traditionalists, purists and people who are always looking for crossovers with other genres. Except for their common love of bluegrass music, the only thing these people have in common is the opinion they don’t need to have anything in common. The book is a report of human individuality in fifty-six photos and as many interviews: nearly a hundred colorful character in black and white. People who are familiar with bluegrass musicians hailing from the Netherlands might recognize the Blue Grass Boogiemen and Joost van Es. Influential artists who have passed on, like Theo Lissenberg, and many friends and sources of inspiration from Europe, the United States or even Japan are referred to in the interviews. But also people whose name might not ring a bell with most readers right away are portrayed by Marieke and Loes in such a sincere and natural manner that it will feel like you’ve known them all your life. A book about music is not complete without the possibility to listen to the music discussed. Thanks to the Layar technology, readers can scan each portrait with an app on their smartphone to be redirected to a webpage with music linked to the artist in question. 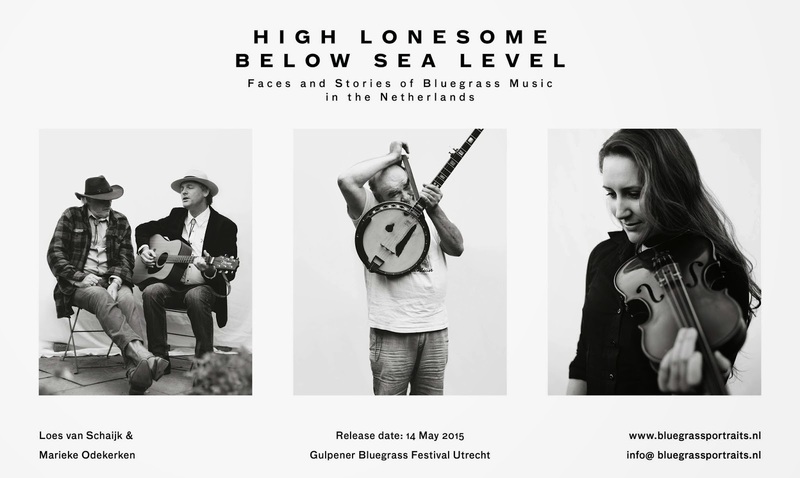 The book will be officially released on May 14th, 2015 at the Gulpener Bluegrass Festival in Utrecht, Netherlands where the first copy will be presented to living legend and “Master of Bluegrass” Doyle Lawson. The book will subsequently be for sale at bluegrass festivals in the Netherlands in 2015 and through the webshop www.bluegrassportraits.nl.